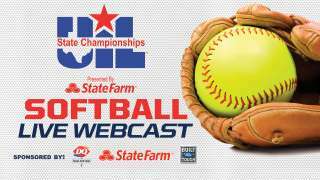 FOX Sports Southwest will provide live webcasts of all 2014 UIL softball state tournament semifinal and championship games from the University of Texas’ McCombs Field this week. Viewers can watch the internet broadcasts on FoxSportsSouthwest.com by clicking on the UIL championship banner located on the home page on the day of the events. FOX Sports Southwest also will televise the title games on a delayed-basis in June. Jeff Power and Lincoln Rose will split play-by-play duties. San Antonio Johnson coach Jennifer Fox and Austin Westlake coach Haley Gaddis will work as analysts. A complete tournament recap with highlights from all games also will be featured on this week’s episode of HIGH SCHOOL SPOTLIGHT on Sunday, June 1 at 10:30 p.m. CT.